Mortgage applications for new home purchases increased by 5 percent month-over-month. Applications were up 14 percent year-over-year. The average loan size of new homes decreased from $325,843 in July to $325,224 in August. 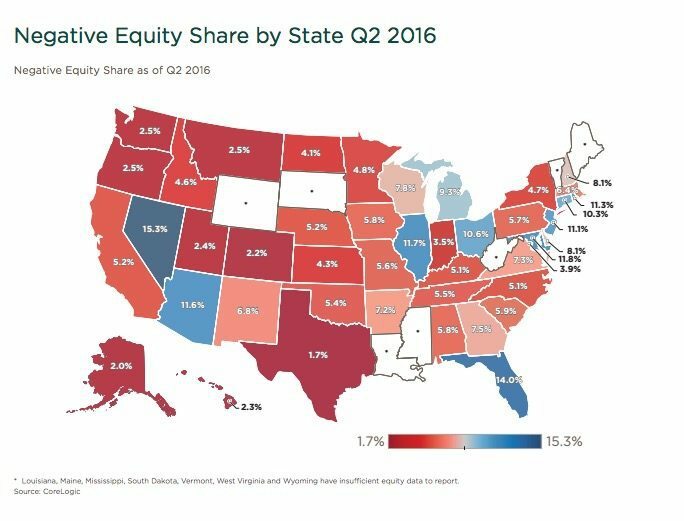 In Q2 2016, 7.1 percent of mortgaged homes had negative equity. This is an 8.9 percent decrease from the previous quarter. Negative equity value decreased $30.0 billion quarter-over-quarter. 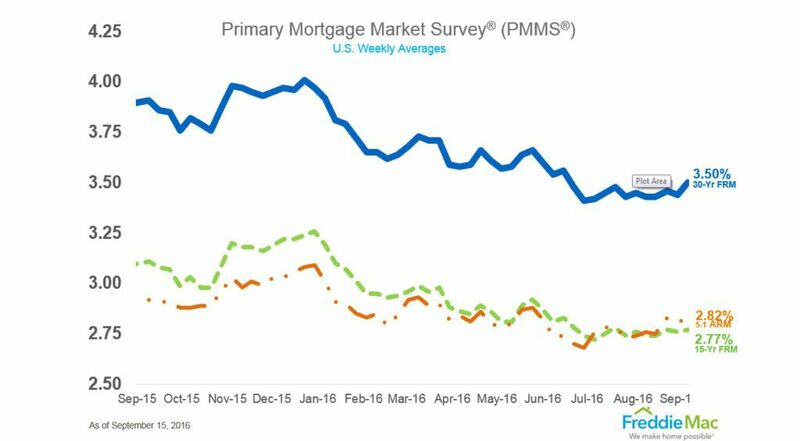 The 30-year fixed-rate mortgage (FRM) reached its highest level since June in the week ending September 15, 2016. The 30-year FRM averaged 3.50 percent with an average 0.5 point. This is up from last weeks’ 3.44 percent. Last year this time, the 30-year FRM averaged 3.91 percent.